Read your book anywhere, on any device, through RedShelf's cloud based eReader. Built-in study tools include highlights, study guides, annotations, definitions, flashcards, and collaboration. Have the book read to you! Problems! Jack Huber has his share. But when he is introduced to the creative problem solving process from an unexpected source, life soon changes . . . drastically. Jack Huber dreams of being a professional photographer and starting his own business. He has a few ideas but doesn't know how to process them to make his dream a reality. That is until an unlikely mentor stumbles upon Jack's path and shares a whole new way of thinking through problems. 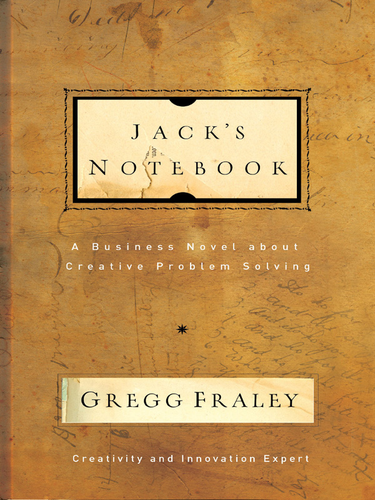 In Jack's Notebook, Gregg Fraley, an innovation consultant to Fortune 500 companies, illustrates a well-kept secret of corporate America: the Creative Problem Solving process.